Learn How Chiropractic works with your body. 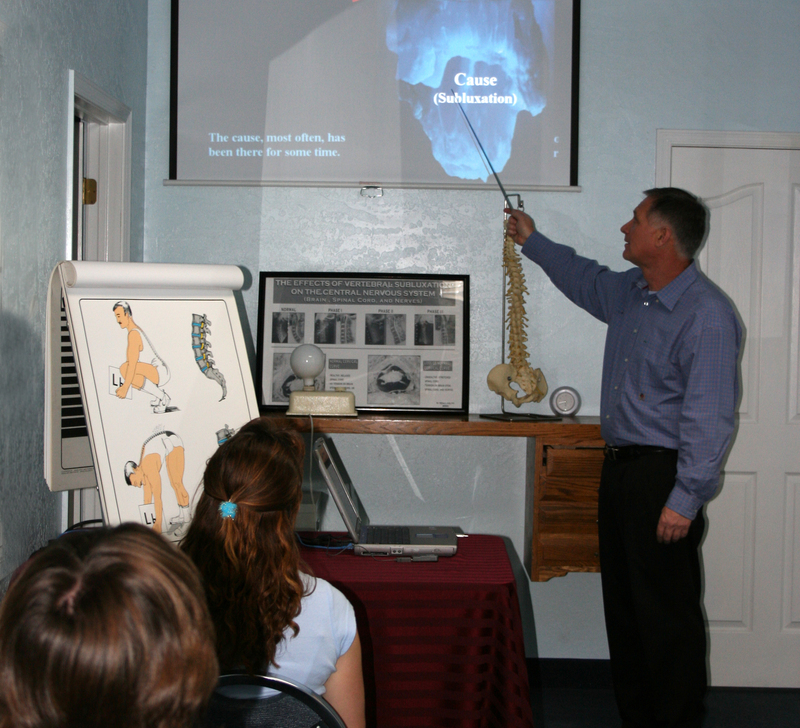 Learn more about how Chiropractic works with your body. We have designed an orientation class that we give once per week, geared to address fundamental questions about our bodies in general. We have found that patients who understand more about health, healing, and chiropractic, obtain the best long-term results, therefore, your attendance is strongly advised if you want to receive the maximum benefits we have to offer. This class is open to anyone, patient or not, so please feel free to bring family and or friends to partake in the learning experience with you. The Doctor’s ask that all new patients try to attend. It is also 100% FREE!! !